October 31, 2016, 2:58 p.m. 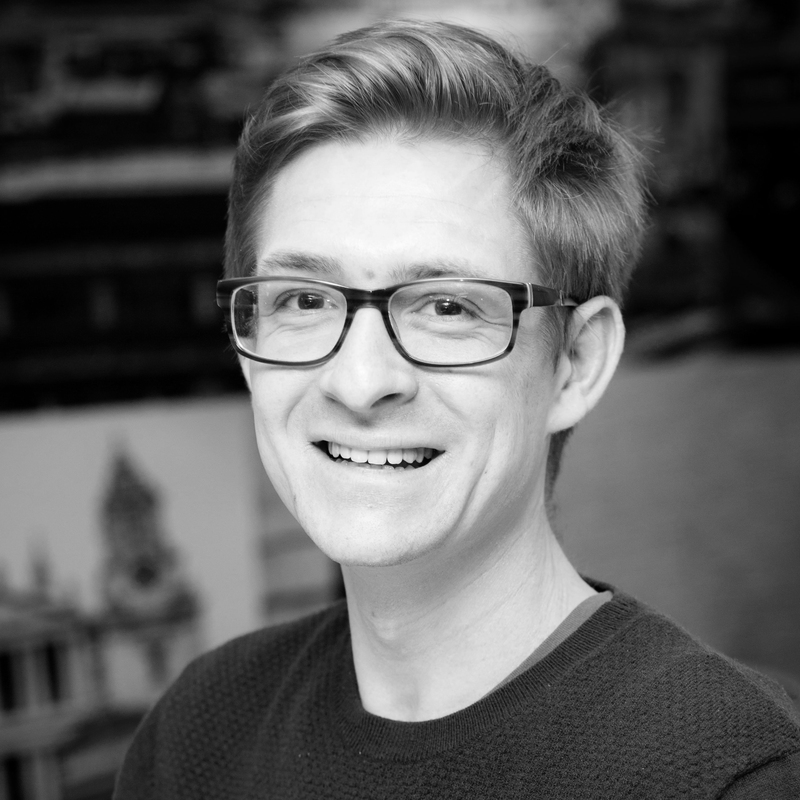 There are two key factor in how people say the word – region and social grade. 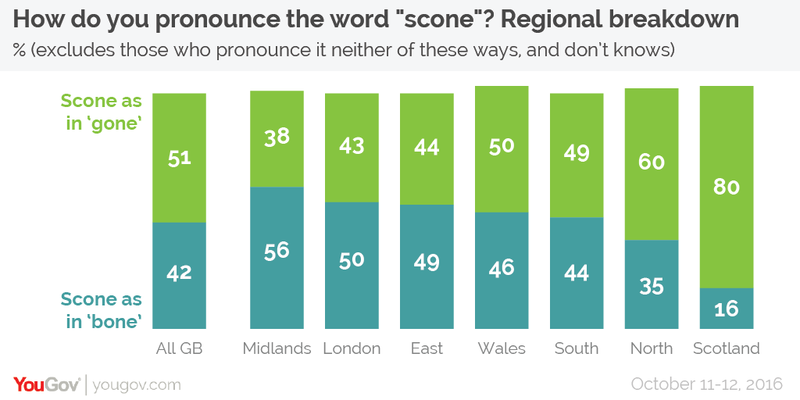 Those living in the North (60%) and Scotland (80%) overwhelmingly use the “gone” pronunciation, while those in the Midlands (56%) and London (50%) are much more likely to go with the “bone” option. There appears to be more of a divide in the intonation amongst those living in the South, East and Wales possibly due to differences amongst local areas within these regions. 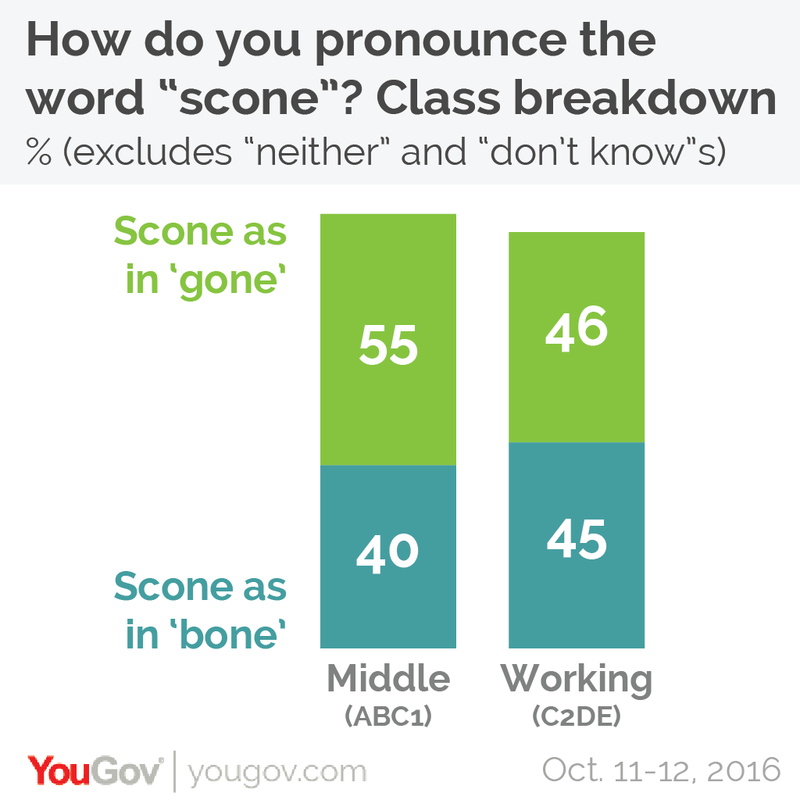 The survey also shows that class is as important a factor in how “scone” is said, although maybe not in the way you’d expect. Those in the C2DE social grade are evenly split, with 45% going with the “bone” pronunciation and 46% going with “gone”. However, among ABC1s there is a very real split. The middle classes are far more likely to go with the “gone” option (55%) than “bone (“40%). The nation has also spoken about the other major scone hot topic – jam or cream first? Jam first – also known as the “Cornish” method – is the overwhelming favourite, with more than six in ten (61%) adding the sweet stuff first. By contrast, just one in five (21%) go for the “Devon” approach of putting the cream on before putting on the jam. So, while as a nation we may never be able to agree on how scone should be said, we can at least sit down together, pour a nice cup of tea, and tuck in to a jam and cream scone. As long as the jam goes on first of course!